Sid Meier's career reveals a series of firsts. In 1982, Meier co-founded MicroProse Software and created one of the first combat flight simulators, F-15 Strike Eagle. After F-15, he continued to create thought provoking, innovative titles such as Silent Service, a submarine simulation and the breakthrough Pirates, a unique blend of historical simulation, action, strategy, and role-playing. And with Sid Meier's Railroad Tycoon and Sid Meier's Civilization, he ushered in a new genre of "God Games" into computer gaming. 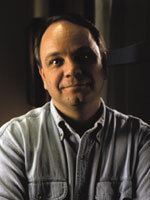 Meier was inducted into the Academy Hall of Fame in 1999 for his pioneering work in computer game design.